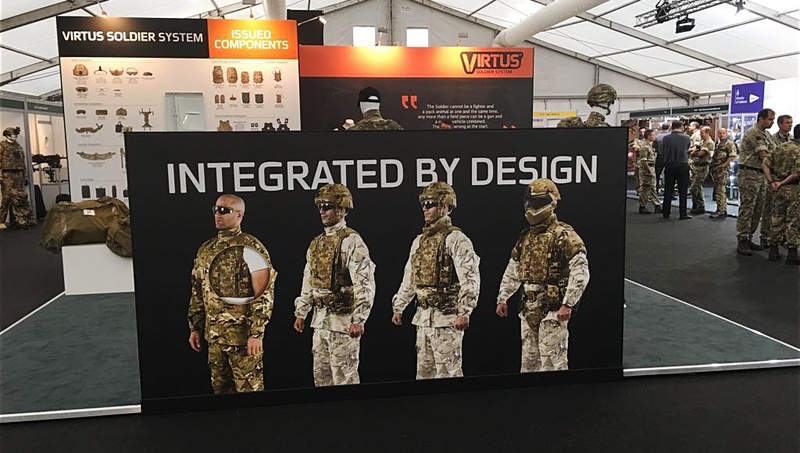 SOURCE Tacticla Gear displays the Virtus Soldier System in this year’s DVD (Military Forces) show and conference, an annual inspiring key event for all those involved in UK Land Forces equipment and support (Sept 7-8 2016). The annual DVD (Military Forces) Show is designed and valued as an effective and efficient forum for Army HQ staff, DE&S personnel and industry representatives involved in the Land Equipment sector, to develop ideas and generate a greater understanding of technologies, capabilities and requirements. As every year, the DVD 2016 showcases the equipment and technology from around 250 exhibitors, which is fit to meet future challenges, and embraces the need for continuous adaptation. Focus of the 2016 show lies on three main issues: Strike, Reducing Logistic Need and Ready Forces, encompassing the Army’s continued focus on a return to a Contingent Operational footing and the emerging concept and requirements of the future Land Strike capability. In this context SOURCE Tactical Gear will display the Virtus Soldier System in 2016. We’re looking forward to inspiring days!